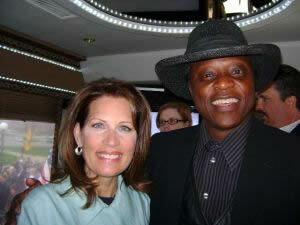 OK, what about Herman Cain? Surely, the liberal media won't attack a black candidate. Wrong! They have already begun making fun of the way Cain speaks. Jon Stewart spun a Cain joke to portray him as a idiot. Libs will laugh while parroting the same mantra. “Can you imagine the nerve of those republicans running a stupid self hating Uncle Tom n***** against a brilliant man like President Obama?” It is not over the top to suggest libs will call Cain the “n” word. As a black conservative, they call me it frequently. Since Cain's black skin will not exempt him from “liberal media destruction”, perhaps we should add Herman Cain to the unelectable list. Obama is a master of deception, speaking out of both sides of his mouth. While promising to implement policies which strengthen small business, Obama continues to create policies destructive to business.